Note: This tour of Chengdu will defintely capture the essence of the city. 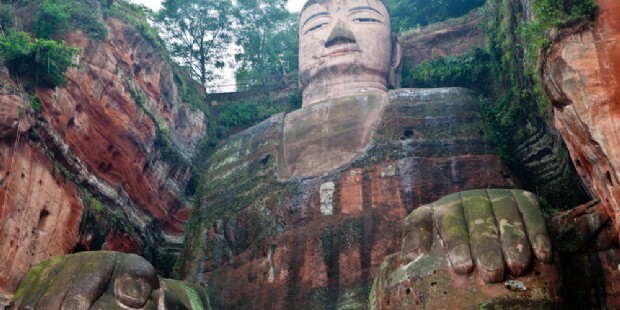 You have the opportunity to visit the famous Giant Pandas, Leshan Giant Buddha and Mount Emei. 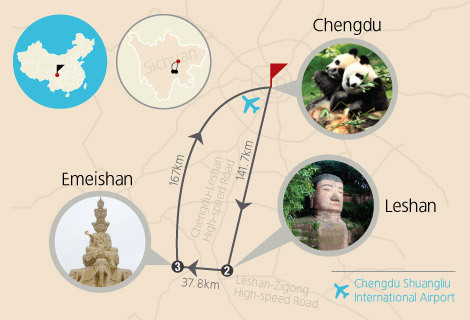 This tour of Chengdu will defintely capture the essence of the city. You have the opportunity to visit the famous Giant Pandas, Leshan Giant Buddha and Mount Emei. 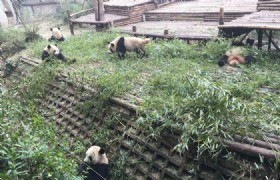 Panda visiting and Chengdu City tour. Famous Taoism mountain - Mount. Emei. 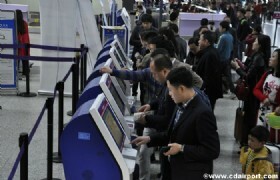 Welcome to Chengdu! 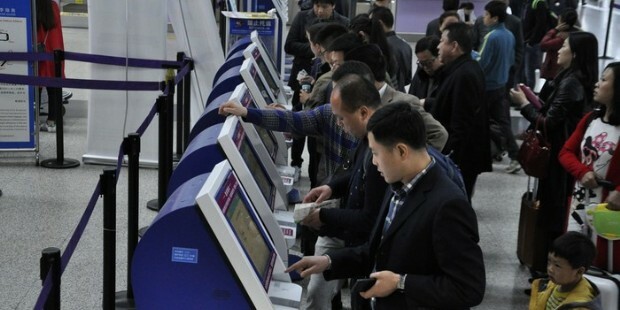 Your guide will meet you at the Arrival Hall of Chengdu Shuangliu International Airport and then transfer you to your hotel. You are free for leisure for the rest of the day. 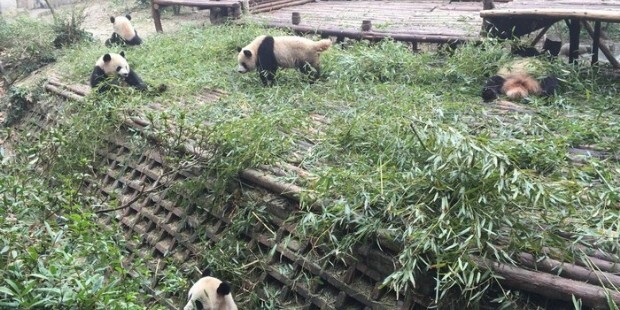 Today you will visit Chengdu Research Base of Giant Panda Breeding, which is a non-profit research and breeding facility for giant pandas and other rare animals, you can see the cute panda there and know more about this animals. Then you will visit Jinli Street, which is a winding cobblestone lane lined with replicas of Qing Dynasty mansions selling local tea, books, souvenirs, musical instruments and caricatures. 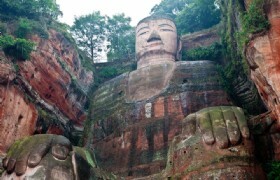 This morning you will be transferred to Leshan by coach, then you will visit the Leshan Giant Buddha, the largest stone carved buddha in the world and enjoy the unique buddhism culture. 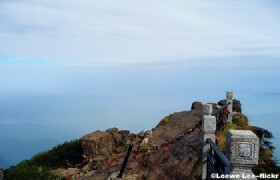 You will then be driven to Emei Mountain in the afternoon where you will stay overnight. 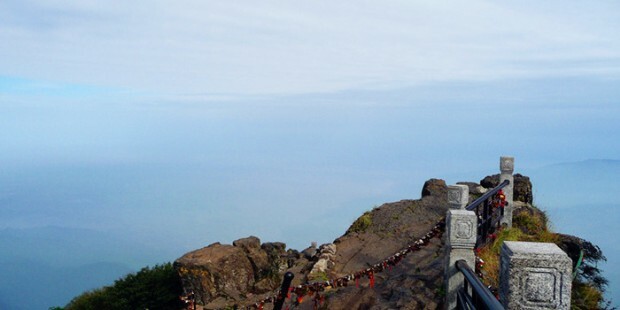 Today you'll visit Emei Mountain, take the green bus to reach the half moutain and transfer to the Ten Thousand Temple by cable car. Visit one of the most famous buddhism temples inside the holy mountain. After you will be driven back to Chengdu airport where this tour ends. * Prices may vary according to your travel time and are higher in the high season, e.g. Labor’s Day (Apr 29-May 5, 2015), China National Day Holiday (Sep 29-Oct 8, 2015), Chinese Spring Festival (Feb 10-28, 2015),Sichuan Sugar and Wine Fair( March.20-31,2015), and Western China International Fair(Oct.20-31,2015).